Annisquam Herb Farm: Green bean followup . . .
Green bean followup . . . 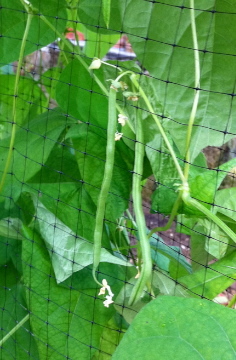 Planted August 26th, the pole beans are being to produce! 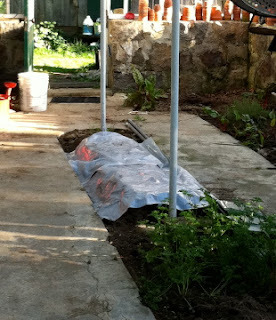 After the new greenhouse roof was installed a six foot section in the center or the north end was planted with Fortex green beans. What fun to see the new beans forming in less than two months!